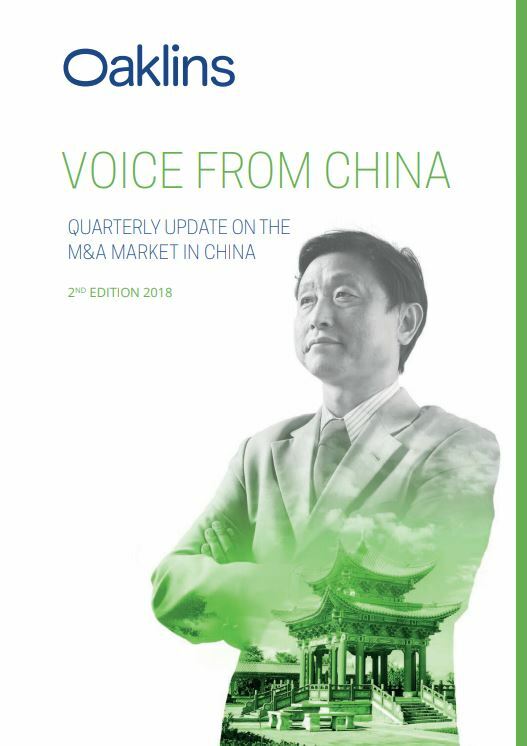 QUARTERLY UPDATE ON THE M&A MARKET IN CHINA – Uncertainty in M&A markets remains as trade tensions between the US and China escalate and the US government steps up its efforts to restrict certain types of foreign investment and the outbound flow of technology. We are already witnessing the results with a sharp drop in Chinese outbound investments to the US during the first half of 2018. John Zhang, our Shanghai-based Oaklins specialist, discusses the possibility of a rebound in the M&A market and gives an overview of China’s cross-border landscape.